Bookmarks are a nice way to use up my stash of size 5 threads. 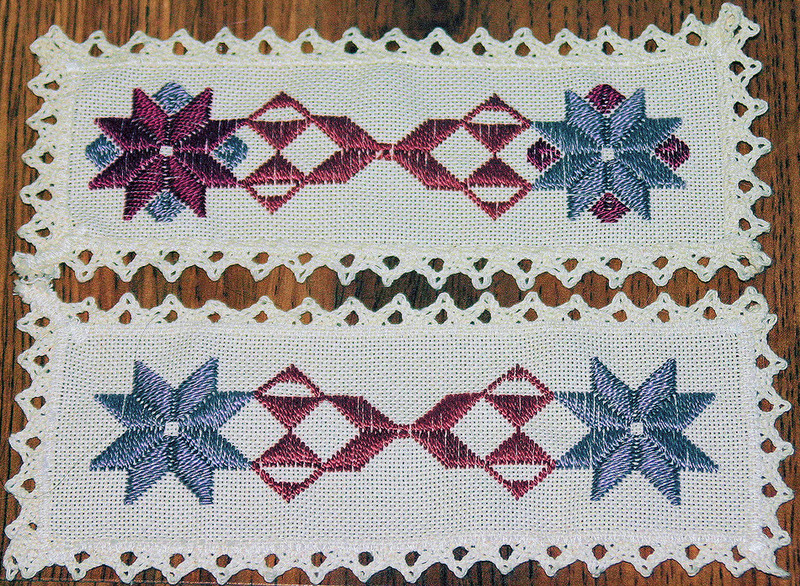 The designs for these two bookmarks kind of came to me as I began to stitch. I’m sure my pattern ideas came from booklets that I have purchased from Nordic Needle. Both of these lacy edged pieces are 20 count Lugana fabric that I purchased pre-edged from the Nordic Needle website. The lace edged fabric is approximately 8.5 inches by 3.5 inches in size. 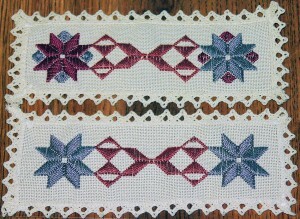 Nordic Needle website is a great source for viewing instructions for hardanger stitches. I refer to their site quite often.